Got questions too complex for Google? Pearl.com might have the answer. Log on, post your question and a prompt will ask you what you're willing to pay for a detailed response from a professional in categories such as medicine, auto mechanics and law. An outside firm vets San Francisco-based Pearl's network of more than 10,000 professionals to ensure they've got the credentials to respond to queries on the site. So if your respondent says he's a gastroenterologist with 20 years of experience, you can feel confident in his advice. Question master: Andy Kurtzig of Pearl.com. 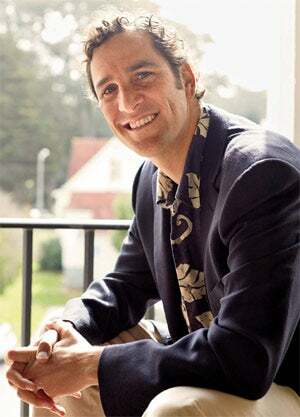 Founder Andy Kurtzig launched Pearl's predecessor, JustAnswer.com, in 2003 when his wife was pregnant with their first child and they had numerous questions. Loath to call their obstetrician in the middle of the night, Kurtzig realized there was a need for a website where users could access experts in various fields. A programmer with experience launching tech businesses--he had recently sold his company eBenefits.com--Kurtzig gave himself a month to build the site and another month to promote it. It showed enough promise in those early weeks that he stuck with it. Kurtzig bootstrapped JustAnswer.com to an impressive 10 million unique monthly visitors by 2012. He believed a new look and expanded personalization features, including the ability for users to create a panel of experts with whom they could communicate regularly, would allow the business to grow even more. He changed the name to Pearl.com and launched a fresh new look--with the same roster of experts--in June 2012. Fees vary but typically run $10 to $90 per answer, depending on complexity, Kurtzig says. Roughly half of the fee goes to Pearl.com. Dr. Michael Salkin, a retired veterinarian, says he earns $100 to $125 a day, checking in frequently to answer questions; some experts pull in as much as $40,000 per month from the site. At the same time as the relaunch, Kurtzig announced a $25.6 million Series A round of financing led by Glynn Capital Management and board member Charles Schwab. Four months later, Pearl closed on a $25.7 million Series B round with Crosslink Capital. The bankroll will allow Kurtzig to build what he calls "the Amazon.com of professional services." The site will be revamping its iPhone and iPad app and rolling out an Android version later this year. In addition, there are plans to offer subscription packages tailored to the needs of small businesses or individuals; for example, entrepreneurs could pay a flat monthly fee and enjoy unlimited access to accountants, attorneys and small-business experts.